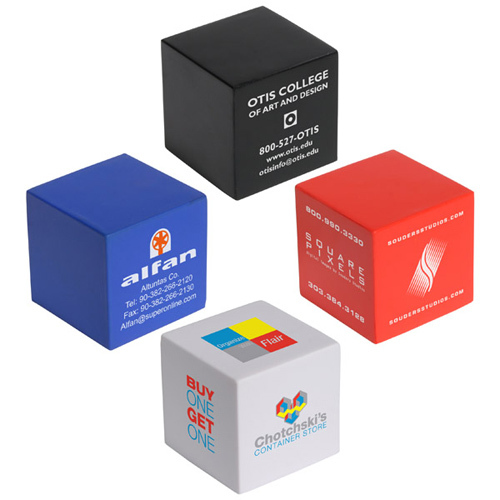 Plenty of ad space for your promotional needs. 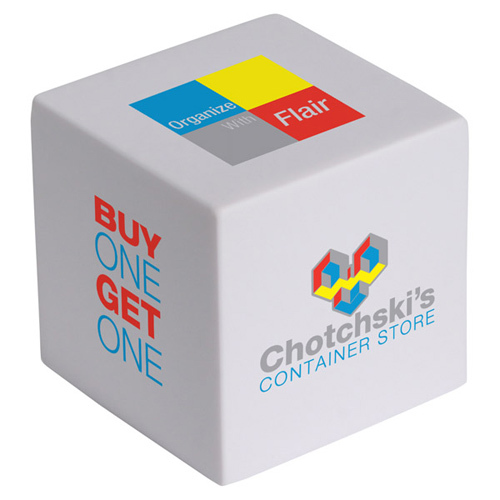 Put your logo on all sides and create a special brand awareness. 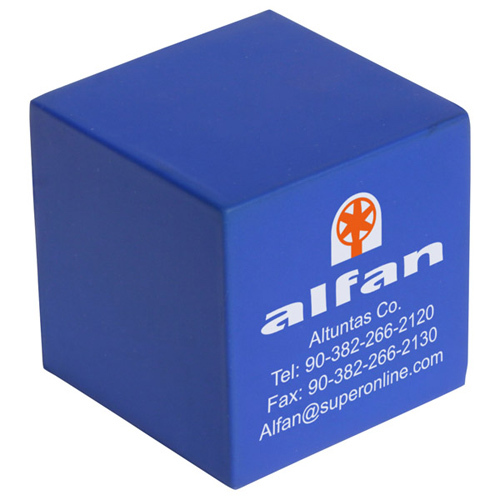 The promotional cube stress ball is made of squeezable polyurethane foam. Available in Black, Blue, Red or White. 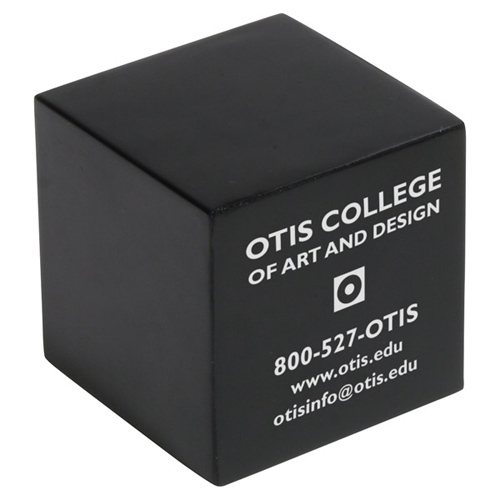 Shape up your promotional campaign with this cube stress reliever!Made from a durable polyurethane material, this 2 1/4" x 2 1/4" x 2 1/4" cube is a unique and fun way to promote your company or organization. 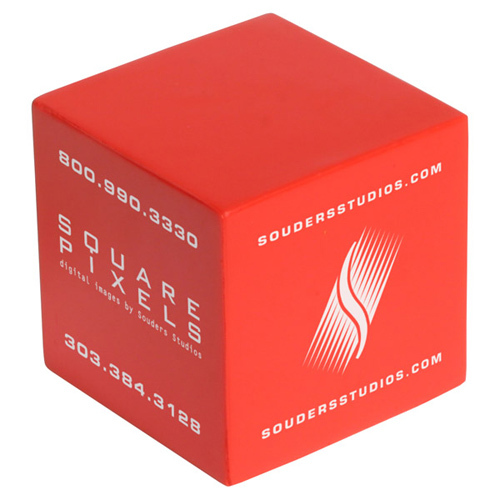 Available with imprinting, you can customize your cube to suit your industry or client. It also comes in several different colors. Stress relievers make great desk mates, giveaways and so much more! Make sure to order yours today. 2-1/4" x 2-1/4" x 2-1/4"
Bulk / 26 lbs / 250 pcs. / 24" x 14" x 15"box.